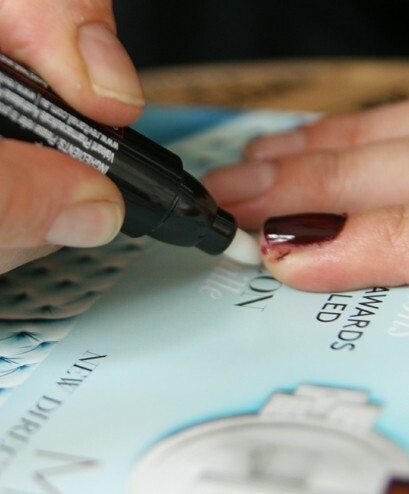 If you're serious about beautiful nails, here's how to make care simply routine. I am sure I'm not the first person to notice the world has gone a little nail art crazy. But changing your colour regularly is going to take a toll on your nails. At some stage, your nails are going to need to retreat from the world, be wrapped in a cashmere robe, and bought back to health. If you're the kind of girl who can't go long without indulging in the latest Pantone-inspired lustre, the good news is you can have your cake and eat it too. That means having great colour while benefiting from Revitanail's nurturing and strengthening ingredients. 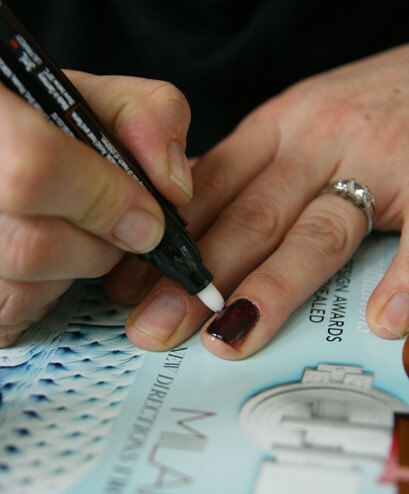 So if your nails are looking a little shabby, it's time to create a simple regime that works for you. So you've put your nails through too many hoops, and they're just lost their lustre. But when it comes to routine, you're a little ad hoc? 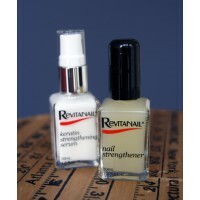 Try the Revitanail® Keratin Strengthening Serum. 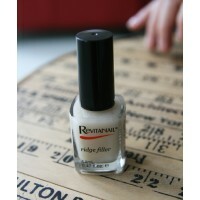 As this product is waterbased serum, you can use it as a base, or as a top coat. 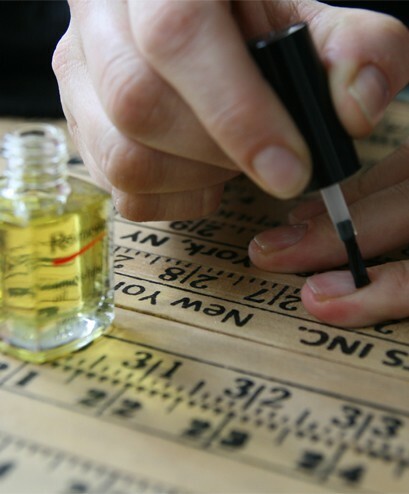 It's job is to strengthen and protect nail and cuticles with the Keratin Peptide (ProSina) ingredient. A little hint - if you keep it near your laptop it will remind you to apply often. 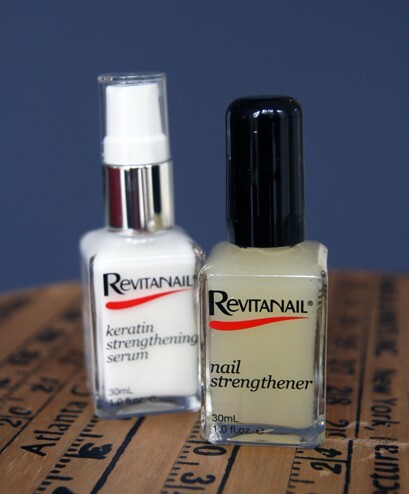 If your nails are literally splitting and cracking, it's time to build up their strength with the Revitanail® Nail Strengthener. This product was the InStyle Winner 2013 'Best Beauty Buys' / Australian, and, Beauty Awards 2012 'Winner Judges Choice'. Your 3 week restorative routine should include adding a coat a day for 5 days. On the seventh day, remove and start again. Repeat for 3 weeks in a row. Take a 1-2 weeks rest between programs, then repeat. On weekends, and after the treatment, keep Revitanail® Nourishing Oil by the kitchen sink to remind you to soften and protect cuticles too. If you stick to the programme, you'll notice the results. 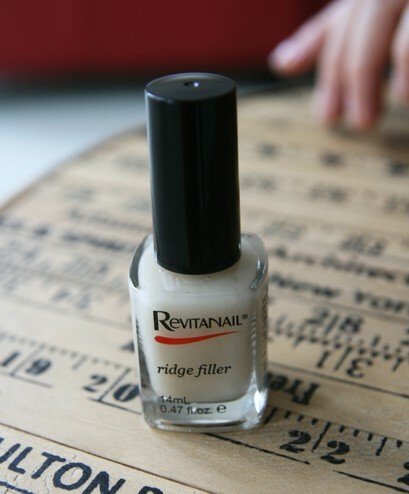 We were surprised by how immediately effective the Revitanail® Ridge Filler works. In our photos you can see this thick undercoat (which dries in 1 minute) smoothed out the ridges ready for a better colour finish, or just a top coat. And again, this product is restorative with Avocado Oil, Vitamin E and Calcium for added care. This is what we mean about cake and eating it. 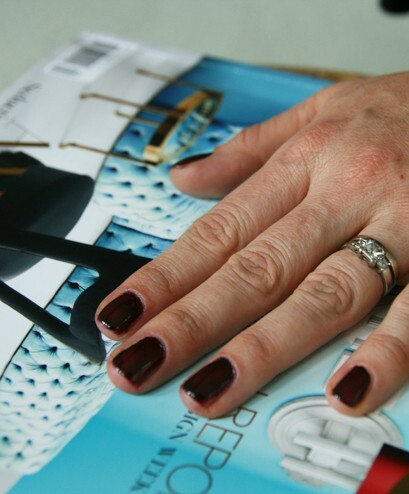 We loved the deep red achieved after one coat from the Revitanail® Triple Strength Black Plum polish, the Marshmallow and Pomegranate were equally great tones for Autumn Winter. 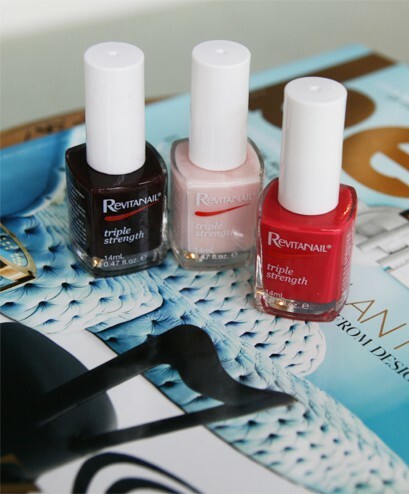 You might think Triple Strength is an odd name for a polish, but it's name should remind you this is the real deal when it comes to treatment, so don't base coat, apply direct to take full affect of the strengthening ingredients. Love colour though I do, it's great to come back to neutral, and the Pink Nail Strengthener adds shine and protection, and dries fast, with a hint of pink. And having the Top Coat that dries just as fast is a winning combo. We road tested the Revitanail® Conditioning Remover wipes and can see how they might be handy to keep in your handbag (spill-free!). The Revitanail® Precision Corrector worked a treat on Marshmallow mishaps. On the darker Plum Polish it was pushed to it's removal limits, but did do the job of cleaning up without ruining the nails surface..
Head over to the Revitanail Facebook page to find out about some great upcoming promotions and receive some more expert tips and advice. For stockist details contact 1800 651 146.